Not sure about what instrument you'd like to play? John James has the answer. He will be holding group instrumental sessions every Monday at 5pm. 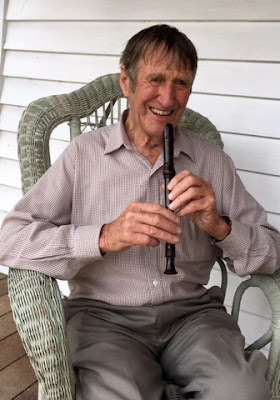 In John's class you will be able to to try your hand at Recorder, Guitar and Keyboard. The emphasis is on fun and playing together, whilst you discover your instrument. This is a perfect musical opportunity for families, just imagine parent and child playing different instruments together. The cost of this Birregurra Community Arts Group supported class is a gold coin donation and you will need to bring your own Recorder and Guitar. John has a small number of Keyboards available on loan. Numbers for this special musical class are limited, so book in early, making sure your family can make music together.